I want to blog about my wedding process in case it helps anyone else out there also planning a wedding. My first post is on venues! 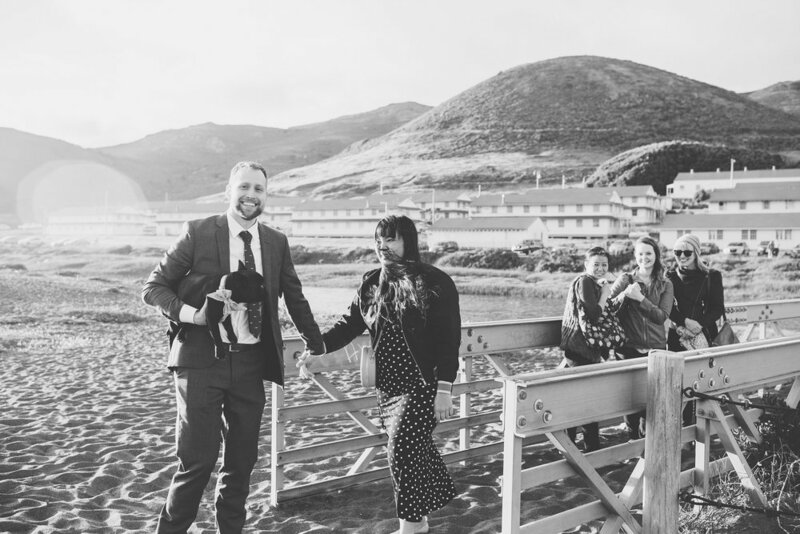 We knew that we wanted a wedding in California, but didn't have a big preference where. We just wanted a venue that felt right for us. I scoured through various wedding blogs, Instagram accounts and hashtags, Pinterest, and good ol' Google. I came up with a list of 24 venues and slowly narrowed it down. I ended up not liking some of the ones I initially added, or Grant didn't like them, or it was just way too expensive. We had one that we both really liked so we decided to take a mini road trip down to check out. Here were my top 10 favorite venues though, which was also hard to narrow down. There are just so many lovely wedding venues in California. 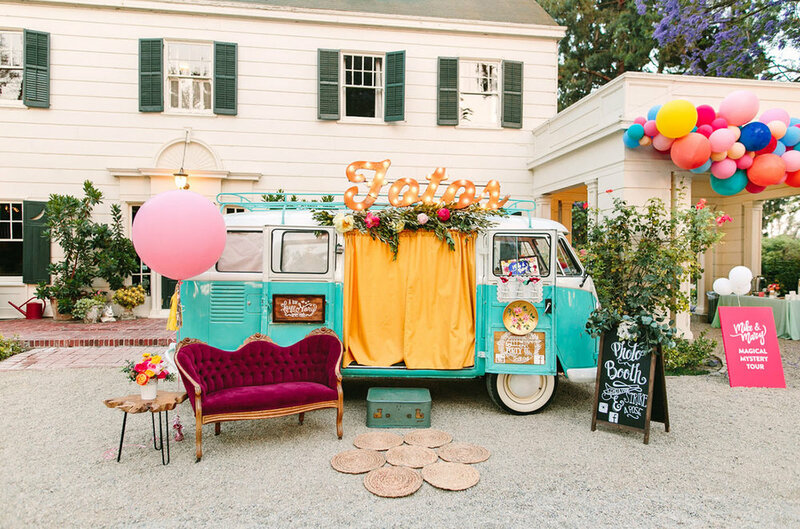 Love all the colorful decor and furniture that is already part of the venue. You wouldn't have to do much to have a beautiful wedding here. Also has beautiful decor and lots of greenery to give you that nature feel in the city. Dogs are allowed for the ceremony but not the reception. 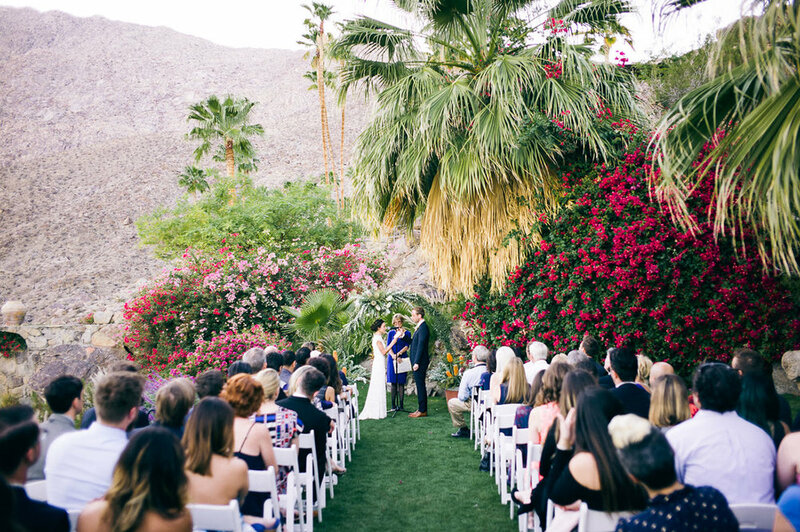 Loved the backdrop of beautiful flowers for the ceremony and the views of the desert for the reception. Unfortunately they don't allow Boba or kids, so that didn't work for us. This is my favorite Ace that I have been to. I love the vibe of it and the date shakes! Lots of cool photo opportunities and pool parties to be had here. 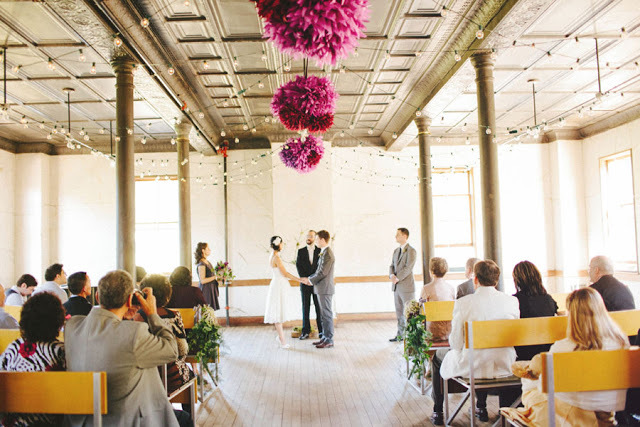 Loved this location after I saw Studio DIY's wedding. Loved how they put balloons in the pool above. Unfortunately the venue no longer allows dogs. Loved the sleek, mid-century modern look to this house, but still full of greenery. I'm also a sucker for bougainvilleas. This is the venue we chose for our wedding! We loved that you can have a ceremony overlooking the ocean like our engagement, a cocktail hour in an open conservatory, and then a reception in an empty greenhouse. And they allow Boba and kids. It's not in the most central location but it's close to Santa Barbara and there's a nice Kimpton in Goleta. Loved this venue once I saw the beautiful photos from Mary Costa's wedding. Loved the big redwood trees and this beautiful barrel room is really enchanting. A beautiful spot that we heard had excellent catering. Unfortunately the event space is on the second floor with no elevator. We wanted to go check out a wedding venue and decided to make a mini road trip out of it during the 4th of July weekend. Here were some of my favorite stops from our mini road trip. Cambria Beach Lodge - This is a dog-friendly lodge, right off of the boardwalk. They also have cute decor and a decent breakfast. We enjoyed our stay here and would totally stay there again. Moonstone Beach - It's a little pebbly to walk on, but it's fun to look for moonstones or look at the tide pools. We didn't get to go into the ocean though. Elephant Seal Vista Point - I've never seen elephant seals before. They were so fun to watch. Boba enjoyed it too. The Sea Chest & Oyster Bar - Loved their calamari, cioppino, and bread. People usually line up 30 minutes before it opens and it's cash only. Boni's Tacos - A little food truck. We loved their junior burrito and potato taquitos. Linn's Easy As Pie Cafe - Loved their olallieberry pie. Ruddell's Smokehouse - 20 minutes south of Cambria is a small beach town called Cayucos. Here you can sit next to the beach and eat delicious shrimp tacos with their hot sauce of course. It's not your typical taco and has some apples, carrots, and lettuce, but I like it. Scout Coffee Co - A cute coffee shop that I would totally hang out at all the time if I lived by it. I loved their honey lavender milkshake and overall decor. Madonna Inn - It's about a 45 min drive from Cambria. We drove there to have dinner and although I love the atmosphere, the food was expensive and not worth it, and the service was not good either. I would go there to walk around and maybe grab a drink. I do want to stay there one day in their Carin room. I just wished they allowed dogs. Alamo Motel - We drove down to Los Alamos and stayed at the Alamo Motel. It was super cute, but the bathroom was so tiny. If you're claustrophobic, this place may not be for you. Plus the AC was be super loud. But other than those two things, we enjoyed our stay here. Bob's Well Bread Bakery - The kitchen wasn't open when we went, but we got a kougin amann and it was delicious! I assume their other baked goods are just as delicious. Bell's - This placed looked like the fanciest place in Los Alamos. It also happened to be the only restaurant that was open when we were there. The interior is great and it has a patio. We went at during the midday and they had a half off special, so that was awesome. All of their food was fresh and delicious. Chromatic Gate - A rainbow gate to take photos. You can then go hang out at the beach from here. McConnell's Fine Ice Cream - Walked around downtown Santa Barbara and stopped by to grab some ice cream from here since they are from Santa Barbara. I enjoyed their cookies and cream, but want to try their other flavors too. They are also sold at Whole Foods. The Landsby - We didn't stay in Solvang, but if we did we would have stayed at the Landsby. We walked through it, and it looked like a cute hotel. Solvang Restaurant - We tried the Danish Aebleskiver and they were delicious. Kimpton Goodland - Loved the vibe of this hotel. We got a poolside room with a little shared patio and it was lovely. We liked that the room had a way bigger bathroom than the Alamo Motel. We also enjoyed the dinner here and would also stay here again. The French Press - We stopped by here for some drinks for our drive back. Their iced tres leches was tasty. I've always wanted to visit Tulum, so when I found out we were going to Cancun, not too far from Tulum, I convinced Grant to go to Tulum with me for 2 days. Being the crazy people we are, we booked two different hotels for the two nights we were there. The first night we stayed at Hotel Tiki Tiki which was more inland and then we stayed at The Beach Hotel on the beach for our last night. They were both great hotels, just different locations and prices. We took a taxi from Cancun to Hotel Tiki Tiki. It took almost 2 hours to get there. Once we got there we ended up renting a car through our hotel. It was actually really nice to have car and pretty easy to navigate. Hotel Tiki Tiki - Friendly staff and beautiful decor, but more inland. It is closer to the old downtown area. The Beach Hotel - Another beautiful hotel with a hammock and private hot tub, steps to the ocean. They made the room extra special for our engagement which was sweet. Tulum Ruins - There is not much shade but it's cool that the ruins are right on the coast so you would get a little breeze at times. The view of the ocean is beautiful and you can even go down the stairs to swim in the ocean. Cenote Dos Ojos - We wanted to go to both the Gran Cenote and Dos Ojos, but only had time for one. It was hard to decide. I think the Gran Cenote is more picturesque, but Dos Ojos you can do more snorkeling. Antojitos La Chiapaneca - Great and super cheap al pastor tacos. Humo Tulum - We had a good breakfast there. It's close to Hotel Tiki Tiki. We enjoyed their tacos and smoothie. Chamicos - Right on the beach and super laidback. There are even some tables that have hammocks. We loved the ceviche and guacamole here. 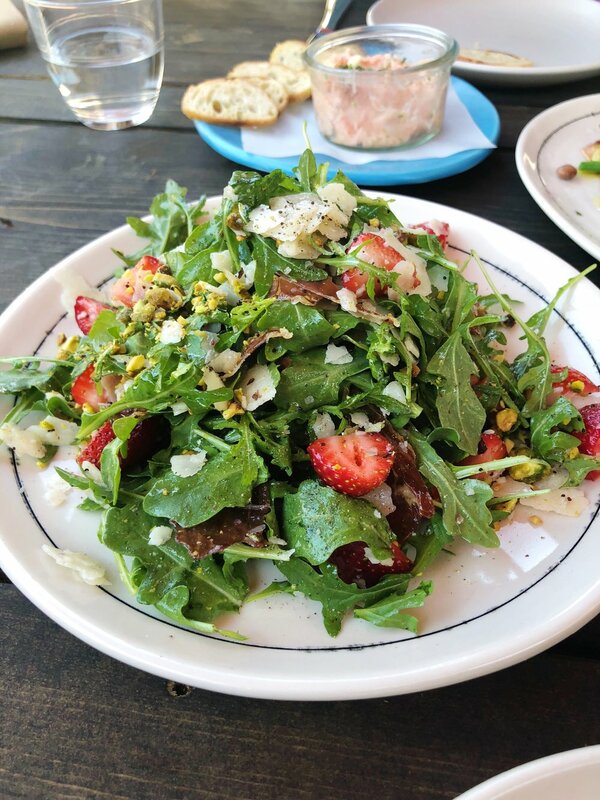 Hartwood - Everyone raved about this place. I thought it was just ok though, but maybe we ordered all the wrong things. I would try it again. They do dinner only and are cash only. Make sure to make a reservation a month before you go. You can just email reservations@hartwoodtulum.com to do so. Arca - Loved the decor, drinks, and appetizers, especially the bone marrow and soft shell crab tacos. We had reservations here as well. They offer reservations from 6-7pm and then it's a first come, first serve basis. You can make a reservation by filling out their form on their site. Ziggy's Beach Club - We enjoyed the breakfast here and it's conveniently part of our hotel. Prieto - A cute little yogurt shop with good charcoal yogurt and horchata. Tulum Art Club - Right across from Prieto is a cafe with fruit smoothies and an area for artist to work on their art. Campanella - Good gelato place cause Tulum can get hot. Matcha Mama - A cute little hut with swings and matchas with coconut milk. Old Tulum - This is closer to Hotel Tiki Tiki. We walked around, but nothing really caught our eye. I did read Studio DIY's blog though about her finding some cool wool stuffed animals and I was able to find the store based on her instructions! Here are her instructions: "It is on that main street with the closest cross street being Calle Jupiter Sur. If you start there and walk towards Campanella Cremerie, but on the opposite side of the street, it is one of the first couple shops along that stretch a few doors down from the OXXO on the corner. Pop in and you’ll know it when you see it. One entire half of the store is filled with the wool animals!!" There's also the newer shopping area right near the beach, but it's super posh and expensive over there. Doesn't hurt to window shop though. If we had more time I would have gone to Gran Cenote and Sian Ka'an. I would have eaten at Taqueria La Eufemia and Posada Margherita and had drinks at Coco Tulum. I would have also wanted to just walk around and check out the different hotels. There are some unique ones here. I can't wait to go back one day. It's our 8 year anniversary today, so I decided it would be a good time to write about our proposal story! Here's how it went down. We had talked about when the proposal could happen. I picked a date to help him out. I told him April 28th could be a good day. I wasn't sure if that would be the actual date he would end up choosing. During the week before the 28th he just played games after work and I didn't think that he would do it. When would he have had the time to plan it? Little did I know he started planning it a couple months before. I went to bed not expecting anything to happen the next day. In the morning I was woken up by our Google Home with music playing from our playlist. I checked my phone and saw three emojis, 🚪🍩☕️. I thought he wanted to go get coffee and donuts, but it was 8am on a Saturday! I wanted to go back to bed and that's what I told him. He told me to wake up and go to the door, so I did. There I found a note, a donut, and a chai latte. At The Mill, Denise joined us and we had some delicious toast before we walked over to our next event. We got mani pedis at Nels Beauty Salon. An overly pink nail salon that did some really fun nail art and had a lot of stuffed animals sitting around. This was my first time doing this style of nail art and it was so cool. It was my favorite design ever. It was also where we learned really enjoyed watching Shrek and Puss in Boots, who knew? Here Alex surprised us with boba milk tea from Boba Guys of course! Then the ladies took me to the next location, Farmhouse Kitchen. After we got our nails done, I figured the proposal could be at any moment, at any turn. I would just keep on waiting for it to happen. We had a delicious lunch and with bellies full walked around the Mission. After exploring the Mission for a bit, it was time to hop in a car and head to the proposal! I knew this was gonna be it since they asked if they could blindfold me. Our driver was nervous that he had a hostage situation at hand or at least that other cars would think so. I could sense that we were crossing the Golden Gate Bridge, but I didn't know where we were going. I thought maybe Hawk Hill, but the drive was longer so that couldn't be it. When we finally got to the destination they were not ready for me to take off my blindfold. We sat at a bench as we waited for Grant to be ready. He had put balloons along the beach that had gotten tangled. People stared at us, wondering what was going on. It was cold but it was fun to wait with these ladies and a great time to take this selfie. I was then escorted across a bridge where I took my blindfold off to find Grant and Boba all dapper and my friend Courtney of Photoflood Studio was there taking pictures! Grant had put 5 balloons along the beach with photos of us on the string of our time together. We walked down memory lane and looked at all the pictures. It was really sweet. He said he wanted to do 7 balloons for the 7 years of dating, but he ran out of helium! Hehe. Boba cried the whole time because she loves balloons and wanted to pop them all. We walked up the cliff. Heels were not ideal footwear for this, but we made it work. We went all the way to the top where Grant gave a lovely speech and then realized he forgot the ring in the car. 😂He still finished his proposal and of course I said yes! I didn't cry cause I was honestly tired from the day's events, but doesn't mean I didn't love him or want to marry him any less! Are there any other people who didn't cry? Am I just the weird one? After we took some pictures, we walked back down to the car for proposal take 2! This time with the ring. 😝The answer was still yes and full of laughter and joy. Here's the ring! We had gone ring shopping during our trip to New York over a year ago. Grant wanted me to choose the ring because he wanted to be sure it was something that I wanted. I had been eyeing Anna Sheffield's designs for many years and so we went to her store to see them in person. Her designs did not disappoint and I knew this was going to be the ring I wanted on my finger for the rest of my life. It was a process to make it happen with a lot of back and forth and patience, but the team at Anna Sheffield got me the ring I wanted. Unfortunately it was a little bit too small for me so I had to get it resized. 😭Note that you should get double bands larger than your normal ring size. They are difficult to resize and don't come out as perfect at the first time. Nonetheless it is a beautiful ring and I love it and can't stop staring at it. Also, fun fact, at least to me, is that an Anna Sheffield trunk show was how I met Courtney, so it all came full circle! Thank you so much to Jill, Denise, and Alex for spending this very special day with me. Thank you Courtney and Jackson for photographing our special day. And of course, thanks to Grant for making it all happen and choosing me to be your forever. Love you all! Afterwards we went to get omakase at Robin in our neighborhood to celebrate. It was a great way to end the day. I can't wait to get married and start a family with you Grant! Love you to pieces! P.S. Lea Michele got engaged on the same day and was born on the exact same birthday to the year as me. Isn't that crazy? I think so! Happy National Friendship Day! I want to try to get back into blogging, mainly to capture events that I want to look back on later. We'll see how this goes. Anyways, I thought this would be a good day to share Boba's birthday party with her friends! Almost two months ago, on June 9th, we held Boba's 3rd birthday party. This year it was banana themed. I just found a cute banana shirt for her and then found one that for me that matched it! Her's was too long, but I just cut it short. From there, I got Grant a banana shirt from Bonobos, banana balloons from Oh Shiny Paper and I worked with Paw Patch Pastries to make a banana shaped cake. It all came together and I made our usual boba milk tea bar featuring tea from Tea People. I can't imagine life without this birthday girl. Thank you to everyone who came out to celebrate Boba! Don't forget to follow Boba on Instagram to see more of her day to day adventures!